Providing you the best range of cheese ball puff extruder machine and cheese ball snacks extruder with effective & timely delivery. We have gained recognition as an eminent enterprise, devotedly engaged in offering a broad range of Cheese Ball Puff Extruder Machine. 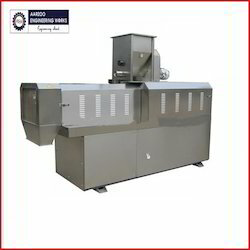 Backed by rich industry experience, we are engaged in offering a superior range of Maize Grit Snacks Extruder.